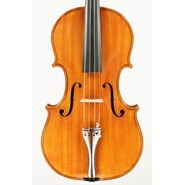 All Jay Haide violas are hand-made of quality seasoned maple and spruce and have a tone quality and workmanship normally found in instruments costing much more. The á l'ancienne violas are made by more senior violin makers with finer quality aged wood for musicians requiring the best tone quality. The Jay Haide á l'ancienne violas are brought to you after years of development. The varnish is a new formulation, carefully applied and beautifully antiqued giving each instrument the patina of age, so desired by both musicians and connoisseurs. They are as beautiful tonally as they are visually. The Jay Haide á l'ancienne has been designed for the advanced student and professional who needs an instrument that will compliment and enhance their artistic style. Recently, we have introduced our special Euro model á l'ancienne, made with the finest aged European maple and spruce. 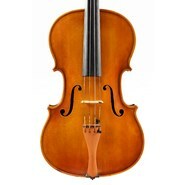 In the short time they have been available these violas have been a big hit around the world. These very special violas are only available in limited numbers, but are worth seeking out. 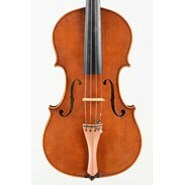 L'ancienne and European wood l'ancienne violas are available in either the Strad model (narrower, streamlined body, with a brighter sound), or the wider bodied Maggini model, with the distinctive double purfling and darker sound. Sizes range from 15"-16.5"
All Jay Haide violas are hand-made of quality seasoned maple and spruce and have a tone quality and workmanship normally found in instruments costing much more. The Model 104 would be an excellent choice for the intermediate player. 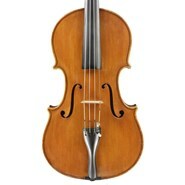 The 104 model is available in a Strad model. Sizes range from 15"-16.5"
All Jay Haide violas are hand-made of quality seasoned maple and spruce and have a tone quality and workmanship normally found in instruments costing much more. 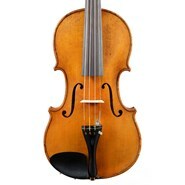 The Model 101 would be an excellent choice for students or as a second instrument for more advanced players. 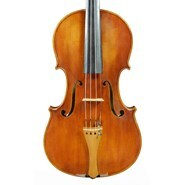 The 101 is available in a Strad model. 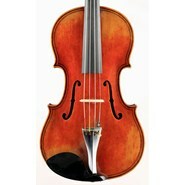 Sizes range from 15"-16.5"
Labeled "Made for Ifshin Violins".